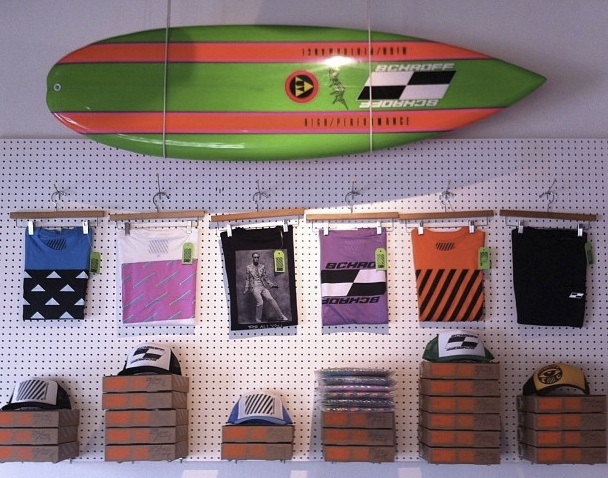 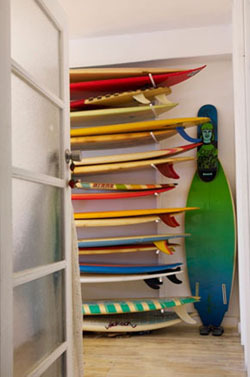 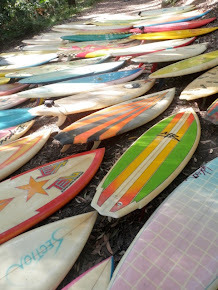 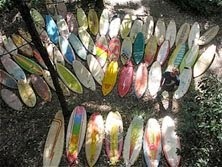 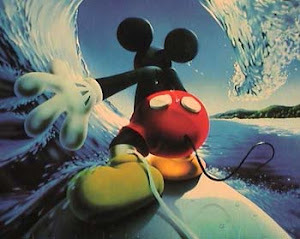 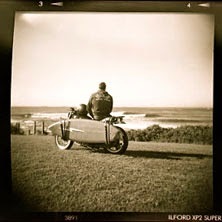 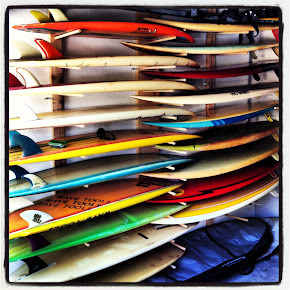 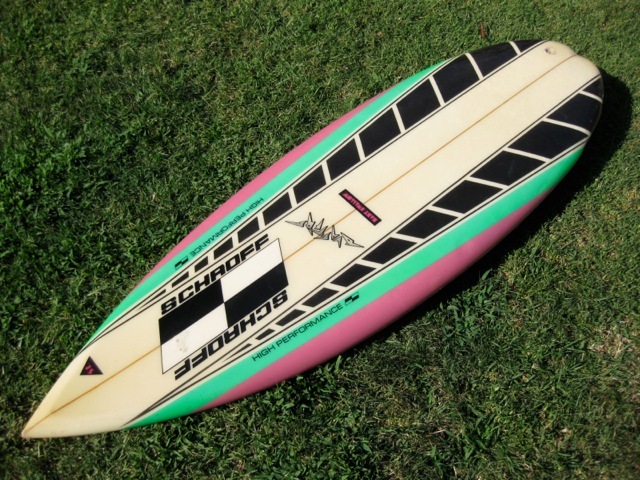 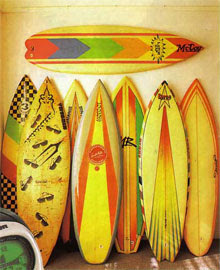 I currently have over 100 boards in quiver and I try to take a different board each time I go for a surf. 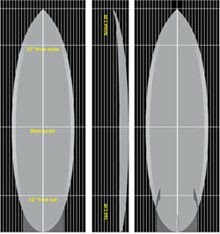 Recently I have been suffering a bit of surfboard design fatigue and I had come to the conclusion that what is truly interesting about the boards in my collection is not how different the performance of the varied surfboards designs are, it is , at the end of the day, how similar they all go. 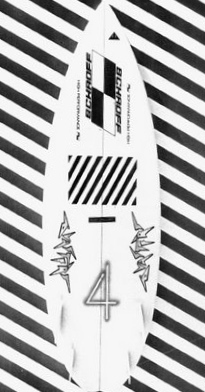 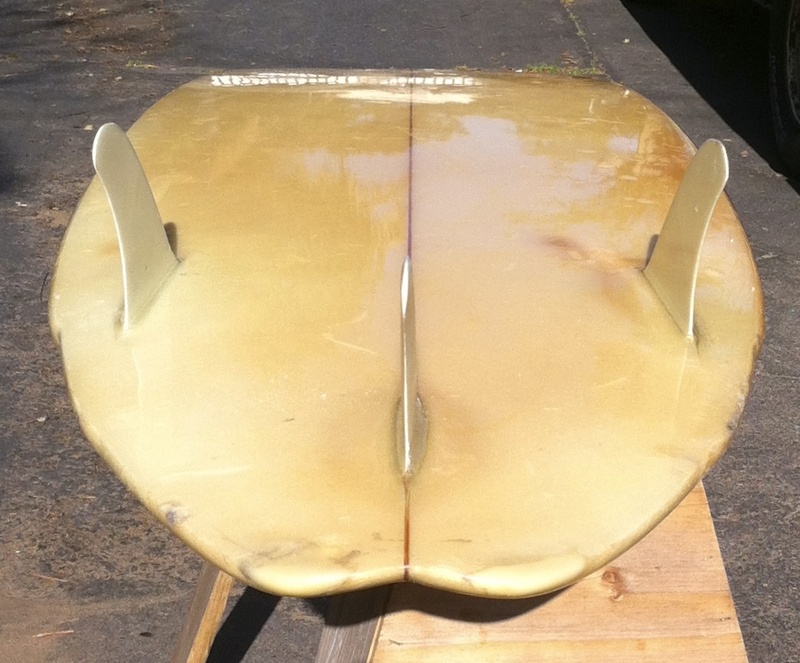 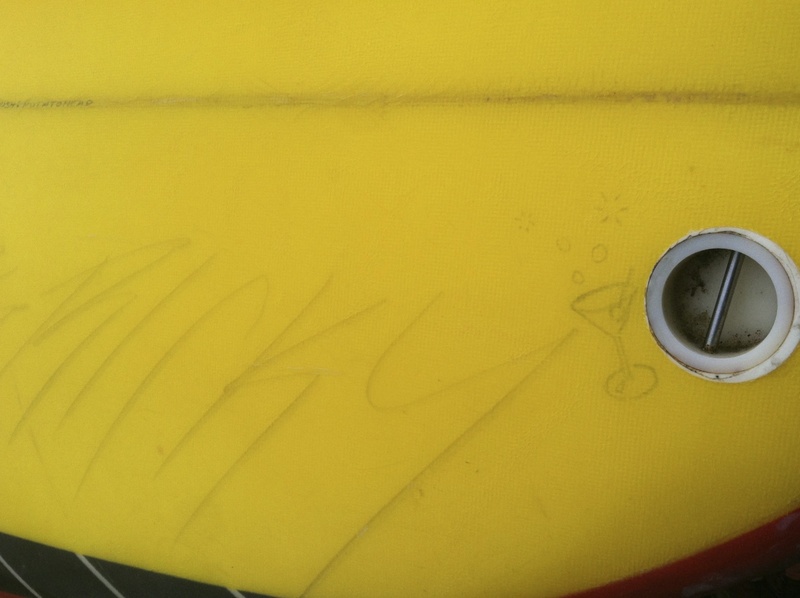 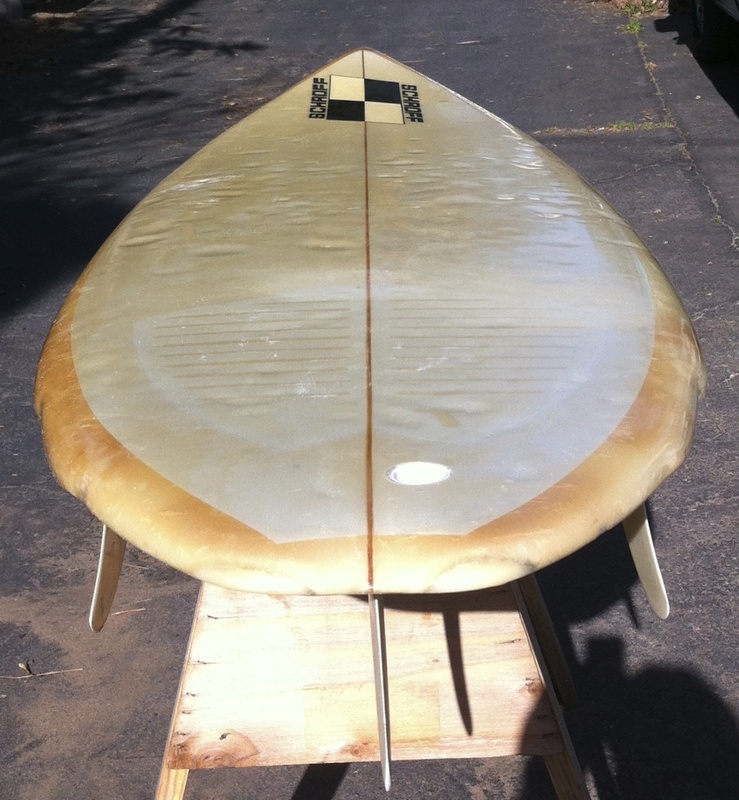 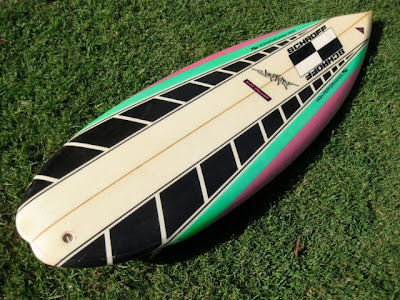 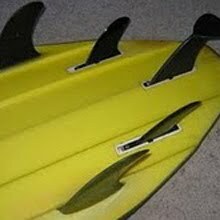 I had decided that the 'no nose' concept is over rated in terms of being a major break through and that, twin fins specifically, perform better with a narrow tail and the wide point further forward. 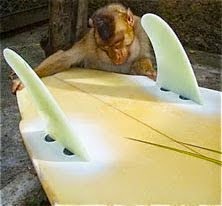 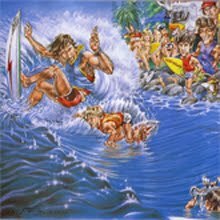 It is true that I had been surfing some particularly fine examples of the genre of late and that may well have skewed my view point. 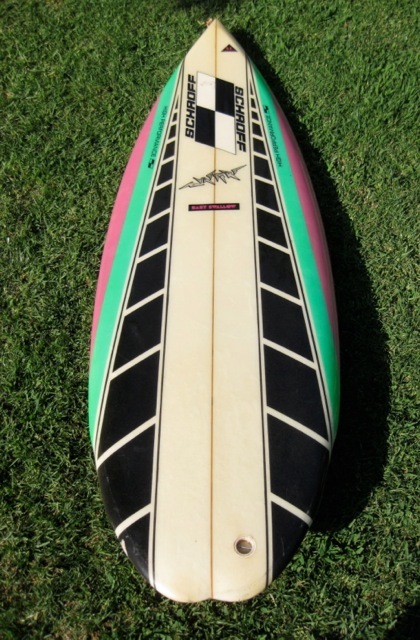 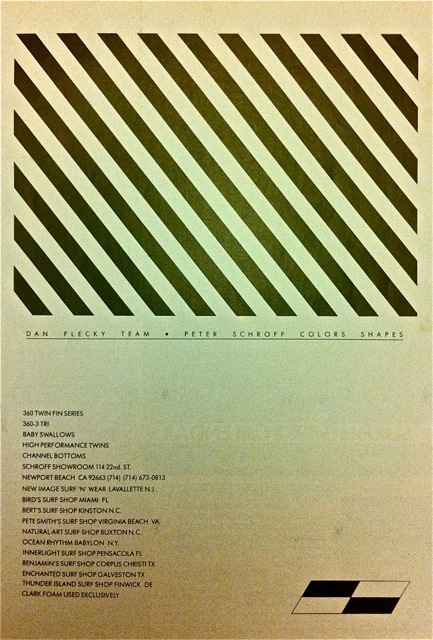 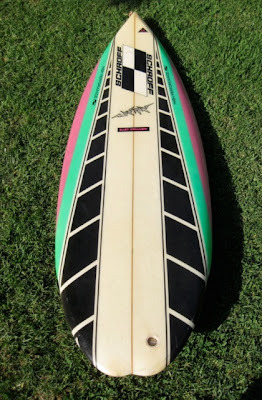 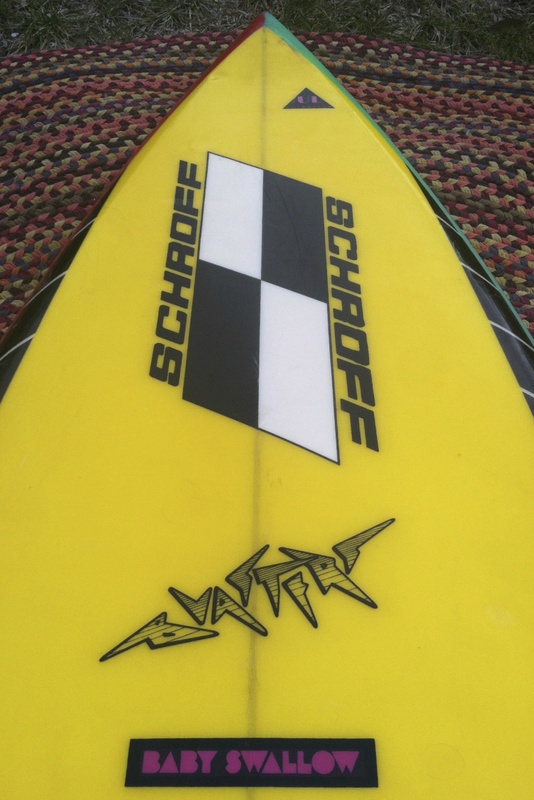 To test my lazy assumption I went to the far extreme of the innovation period design spectrum and pulled my Peter Schroff shaped early 80’s Blaster tri fin out of the racks. 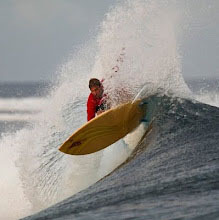 As soon as I took off on the first wave I knew I had been wrong in my conclusions. 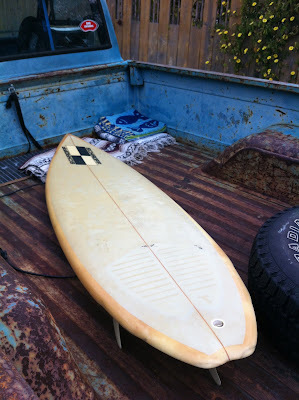 This board felt amazing, fast and loose, exciting, and seemed to be able to go anywhere and everywhere on the wave I could think of. 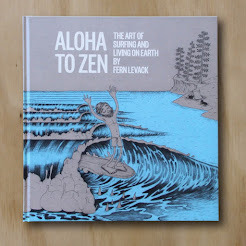 I’m so excited to see the new versions that Peter is putting out in limited numbers for Thalia St, Yoki’s store and the like. 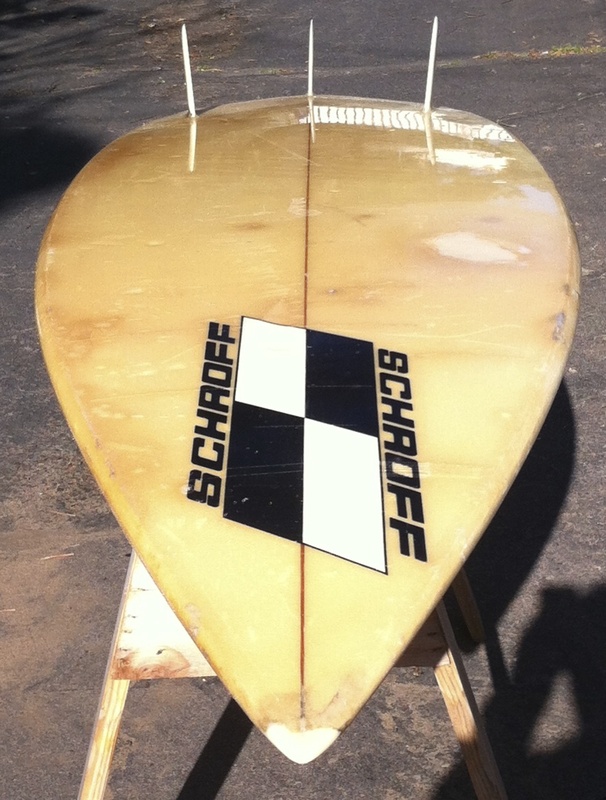 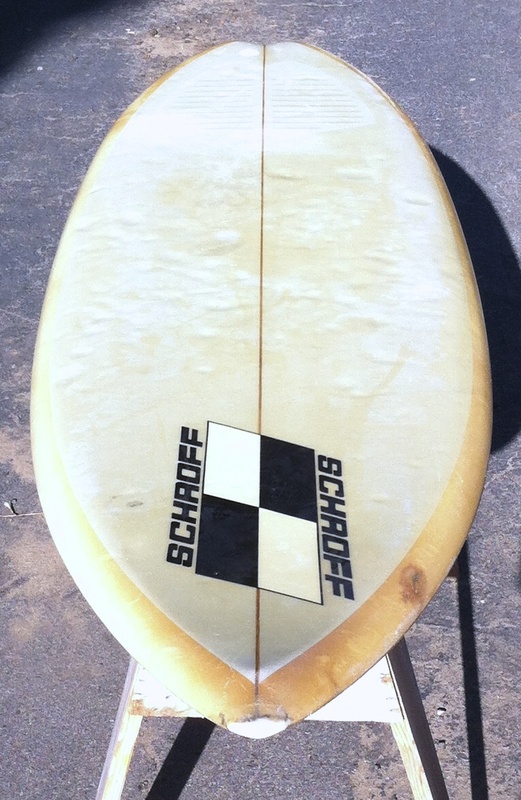 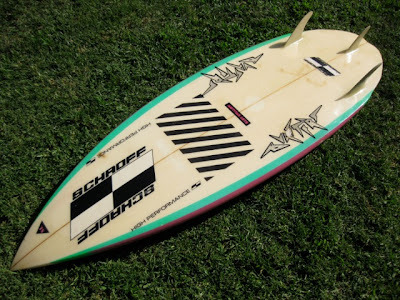 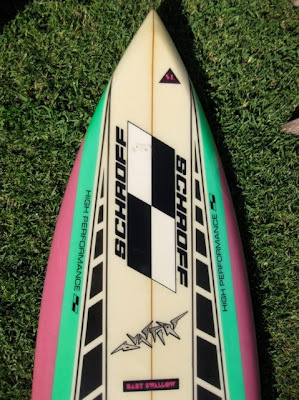 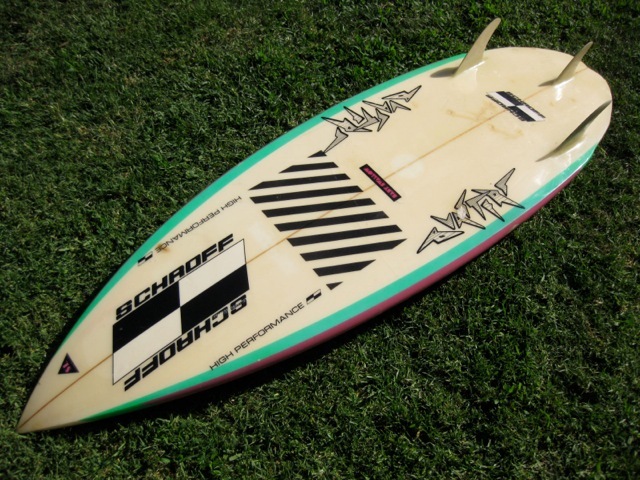 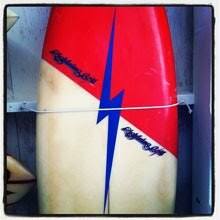 This beautiful example of an original early 80's Schroff Blaster was sold by friend recently. Lucky for me I don't require mint condition examples of a design, as much as I like them, to be able to test the design in the water. 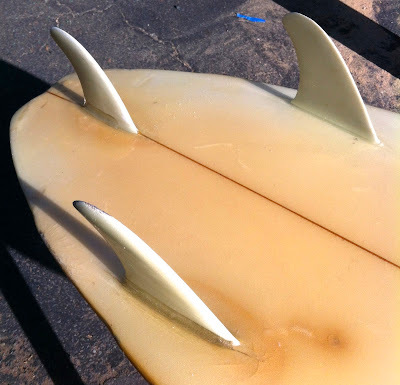 My buddy James shared these pics with me of his recent score from San Diego.